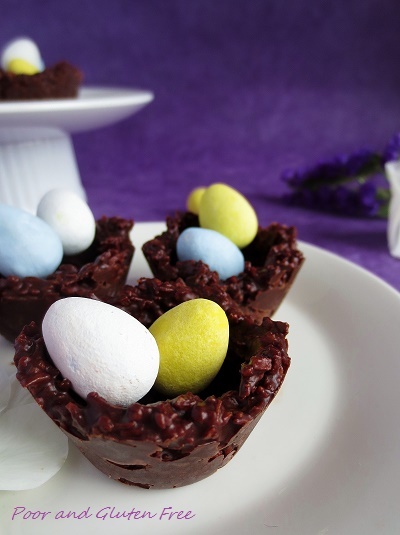 Looking for a super last minute, easy-to-make Easter treat? 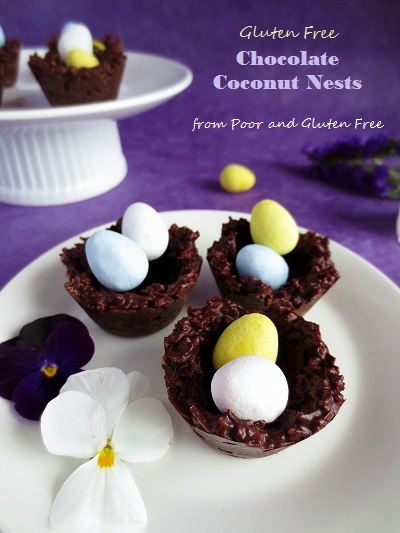 These Chocolate Coconut Nests require only 2 ingredients (3 if you count a filling, like mini eggs or jelly beans), no baking, and can be thrown together in almost no time at all. Did I mention they're super tasty, and lots of fun for little kids? I made these to take to my 2 1/2 yr old niece for Easter, and I hope she likes them, because I've been nibbling on them myself the last couple of days! They can also be made vegan if you use vegan chocolate chips like these and fill them with something like peanuts or vegan jelly beans instead of mini eggs. Most of the recipes I've seen make huge nests out of muffin tins. But since I made these for my little niece and didn't want to make her huge portions I used this Mini Muffin Tin to shape my nests. Spray or grease a muffin tin with oil. 1. In a microwave safe bowl, heat the chocolate chips 30 seconds at a time, stirring in between to melt the chips. Don't overheat, or chocolate will harden and be unusable. 2. Mix shredded coconut into chocolate until well blended. Scoop mix into muffin tins, approximately 3/4 of the way full. 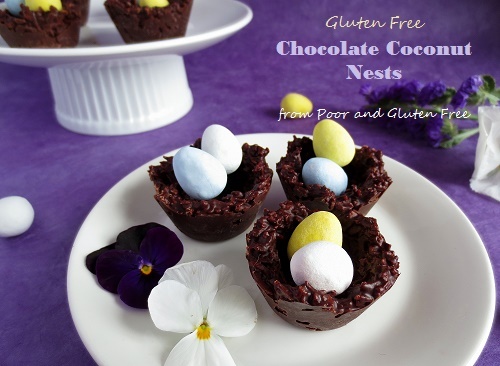 Using a spoon or knife, create a dip in the nests. Refrigerate until ready to serve. Then add your fillings and serve! See? Super easy. But oh so cute!! 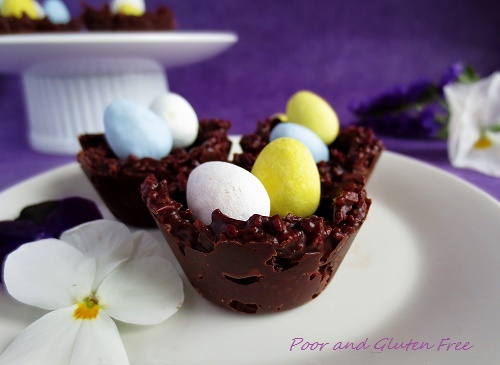 Looking for more gluten free Easter treats? 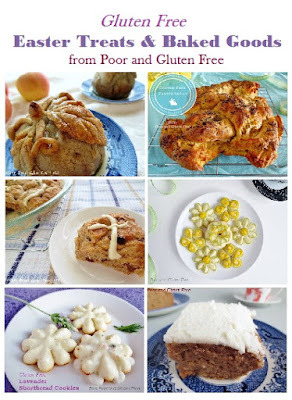 Check out my post on Easter Treats and Baked Goods! So easy and sooooo CUTE!